We are a group of artists who have worked together for 13 years. 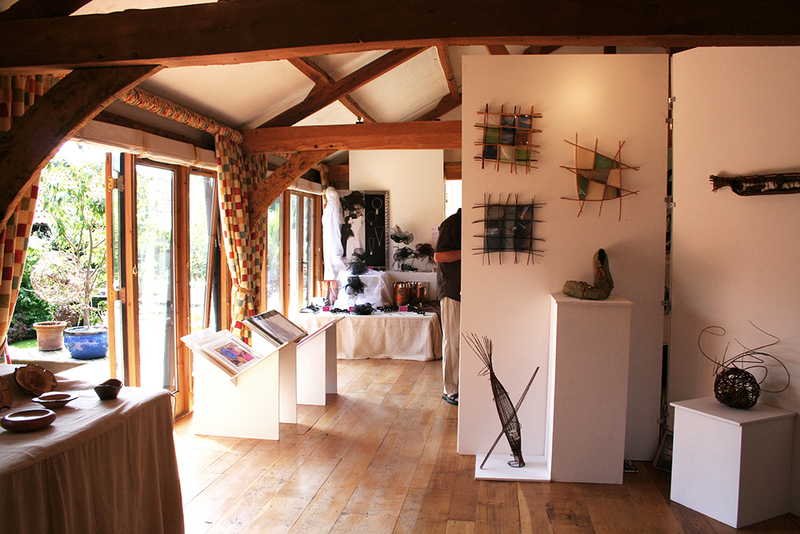 Following a very successful final show at Ware College, Hertfordshire, in 2005 we decided to take on the challenge of organising exhibitions at Gravelly Barn in Braughing to promote our work together with other local artists. We combine this passion with fundraising for the Norma Adams Crocus Fund at Breakthrough Breast Cancer (now Breast Cancer Now), a charity close to our hearts for many reasons, as well as for numerous other charities. To date we have raised well over £100,000. Apart from our art exhibitions there have been a number of summer live music and picnic events, from modern jazz to get-up-and-dance music classics. 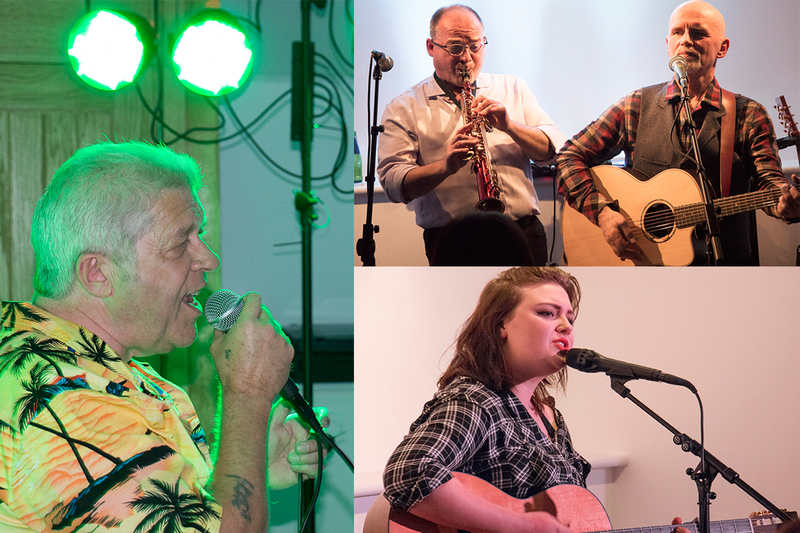 We have held a number of live music events in the barn, featuring Izzy Cooper, Rose Fowler, Pat Crilly and Greg Camburn, Kev Cross, Robin Hill, Rambling Valentines, and Crooked Tree. 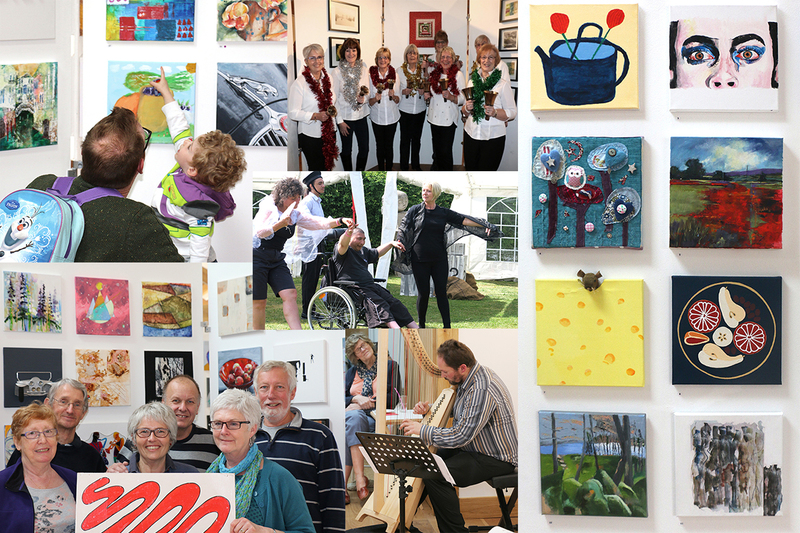 But our biggest successes have been the 12-inch canvas shows, where artists of all ages and abilities buy a square blank canvas and paint, draw, sketch, carve, cut, sculpt, knit, stitch and montage their pictures, each being offered for sale for £45. Our latest show, Choice Matters, raised over £12,000. Our house at Gravelly Barn played host to all our events until 2013 (picture above). 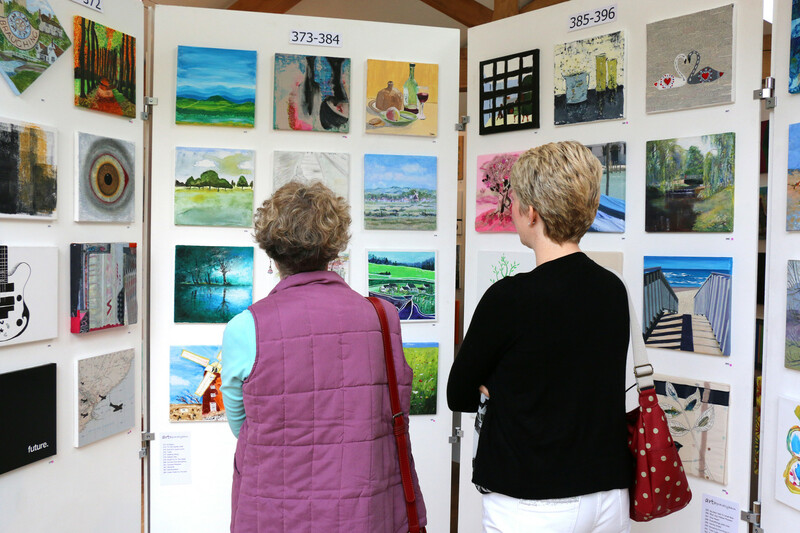 It was a perfect setting for the exhibitions with plenty of light and space and an enclosed patio and garden for those sunnier, warmer days. However, the upheaval to daily life was significant leading up to and during the shows. Furniture had to be moved, carpets taken up, display boards moved in from disparate storage areas. Although the final results were worth the efforts we always wished we had a more permanent display area. In the summer of 2013 we opened the doors to our new exhibition space: The EJD Studio, named after Christopher’s late mum Joan Davalle. She herself was a talented artist and former art teacher and would have been proud to see her name linked to the gallery. We now have a wonderful, large, light and airy space with a kitchen plus toilet/wash area and extensive lighting. And best of all, at the end of the day we can lock the doors and return to our house – without the chaos!